How well digital and physical systems prevent digital resources from being accessed by unintended parties. 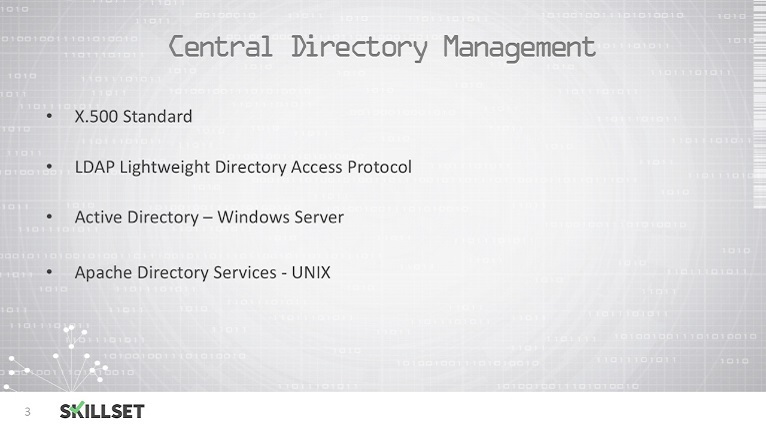 Main instruments include file and folder permissions built into a file system such as NTFS or ext4, user accounts and their credentials, and physical security measures such as top-quality locks on doors with bio-metric authentication. 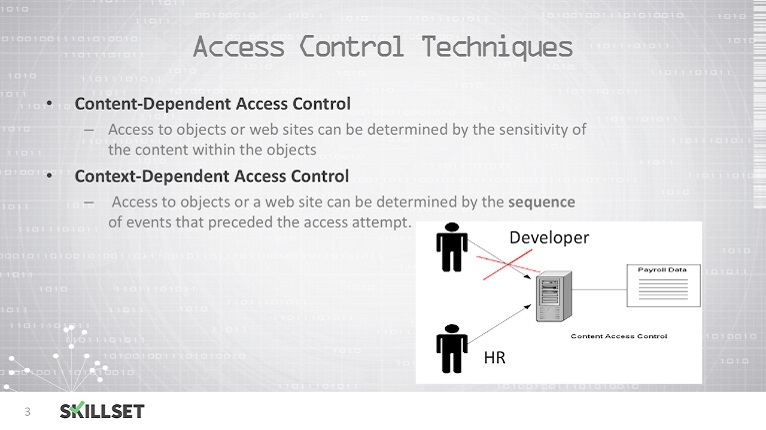 Try a quiz in Access Control Effectiveness FOR FREE! User life cycle management also abbreviated as ULM has become complex over the period of time. 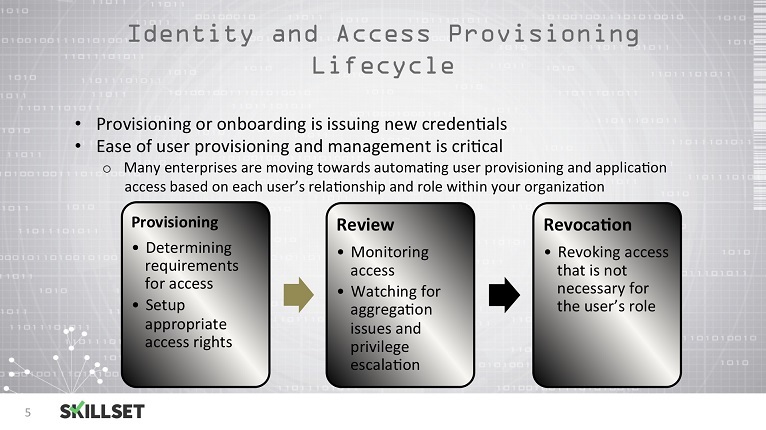 What is the main factor that governs and controls the overall ULM procedures of advanced enterprises? 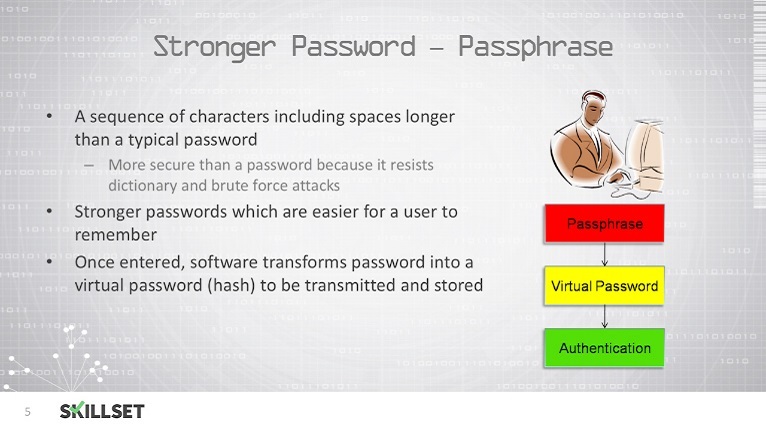 Which is the best solution to implement for protecting against intercepted password? 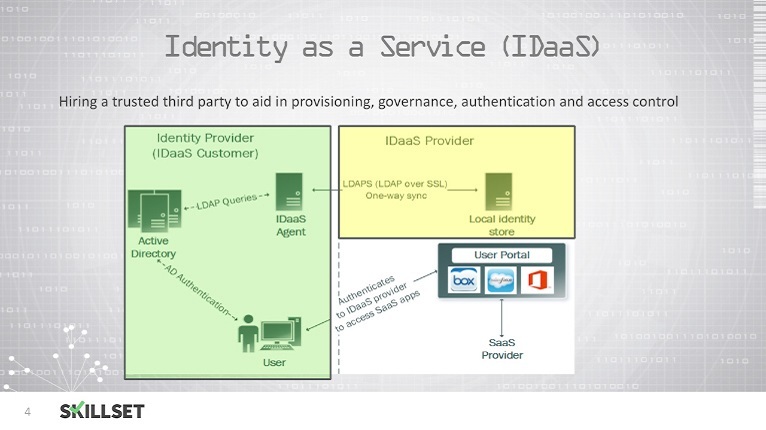 ________________identity management is often used as a form of decentralized or distributed access control. 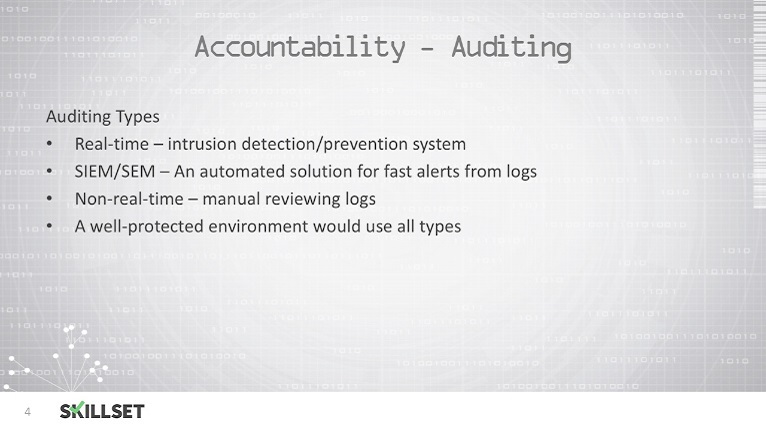 The processes involved in user management for access control would include all of these EXCEPT? 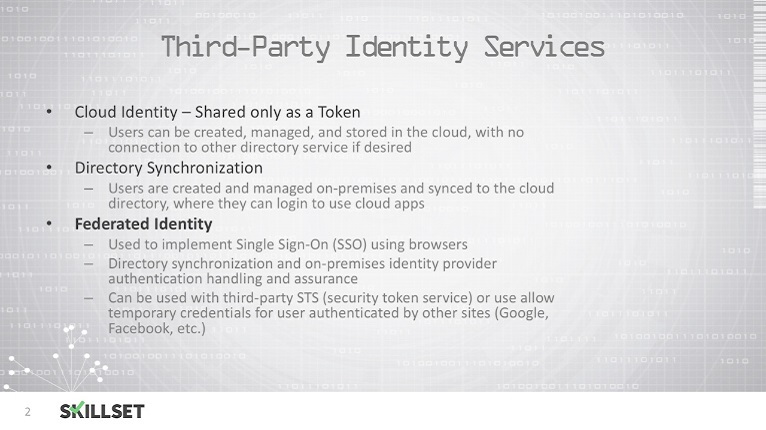 User access should be managed to make sure that the best security layout is provided to the network. What is the ideal approach in this regard? 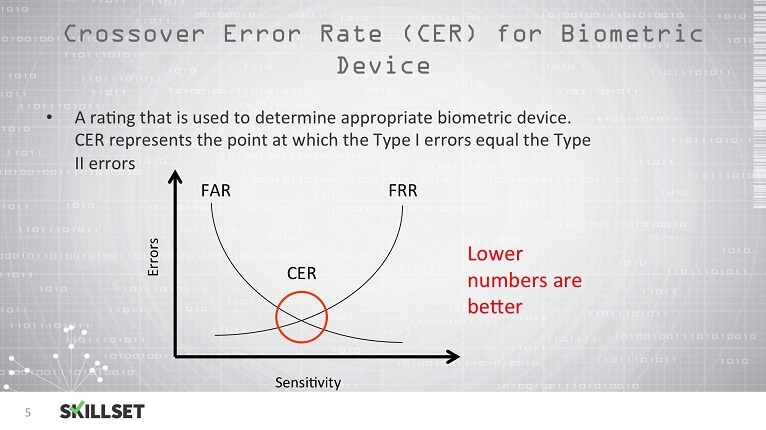 What is the major disadvantage of a fingerprint recognition system? 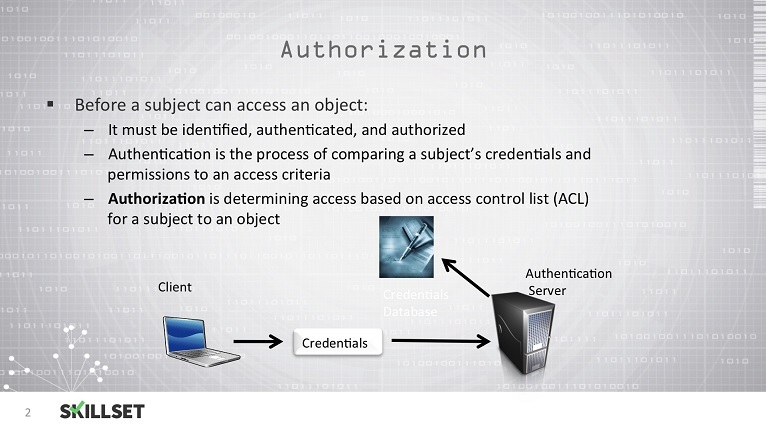 Terminal Access Controller Access-Control System Plus (TACACS+) combines the authentication and authorization functionalities. True or False? True or False: a fingerprint is protected by the 5th amendment and therefore a user cannot be legally forced to decrypt a device protected by a fingerprint. 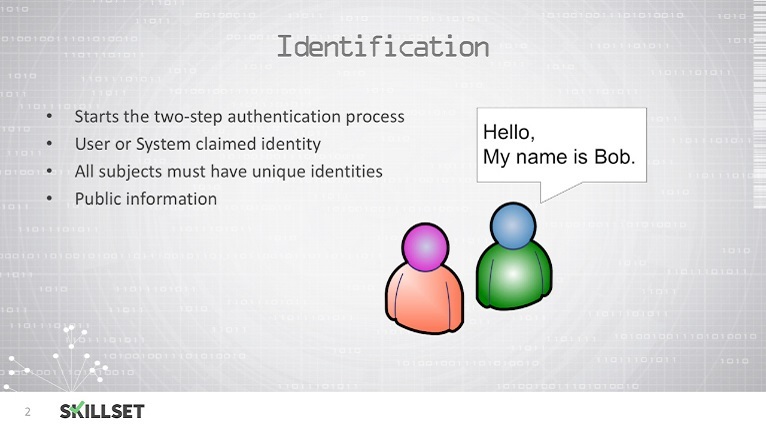 Which authentication protocol is defined in RFC 2865 and 2866?